I continued along the road. The kilometers are passing while I am in thoughts. 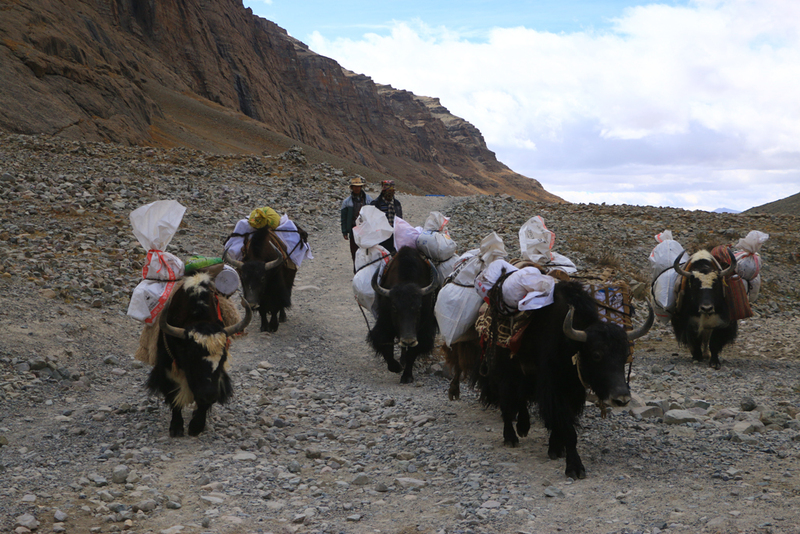 I am passing a group of yaks which are carrying the luggage of some tourists. I try to do a photo but the yaks almost walked over me. Lets continue! But not too fast because the air is getting thinner with every step I take. I am meeting Lydia, Jeroen and Nicolette in a tea tent. 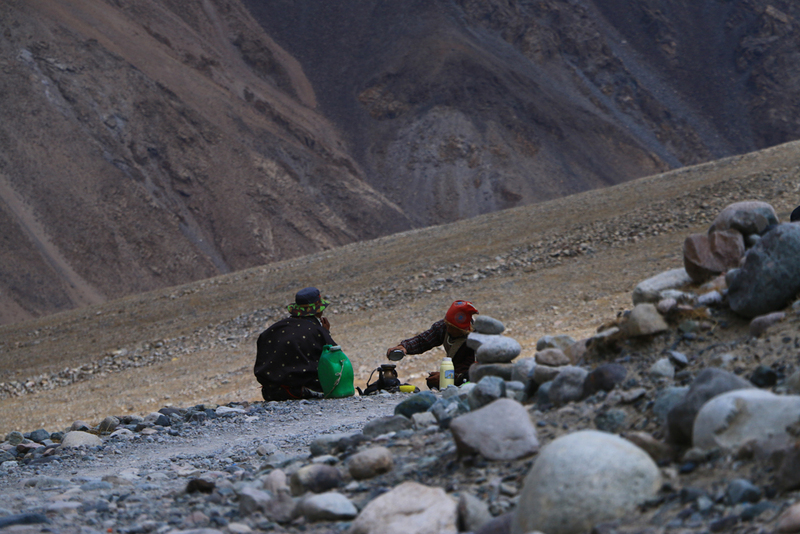 They started earlier from the last monastery and were warming up with some tea. I am taking an instant noodle soup which I instantly regret. What a terrible taste! But whatever, it is some energy for the last 7 km. 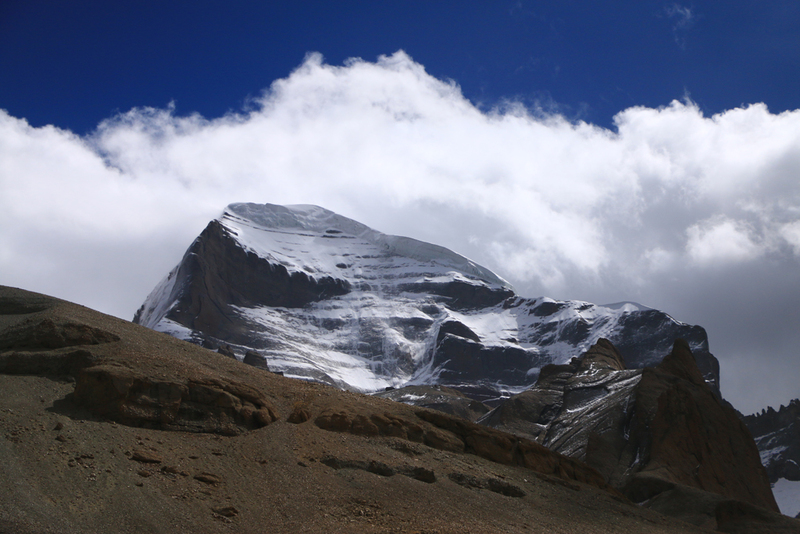 When I left the tent some clouds where leaving the peak of the mountain and I could see the complete Kailash. I am not able to say a word. What a beautiful mountain! 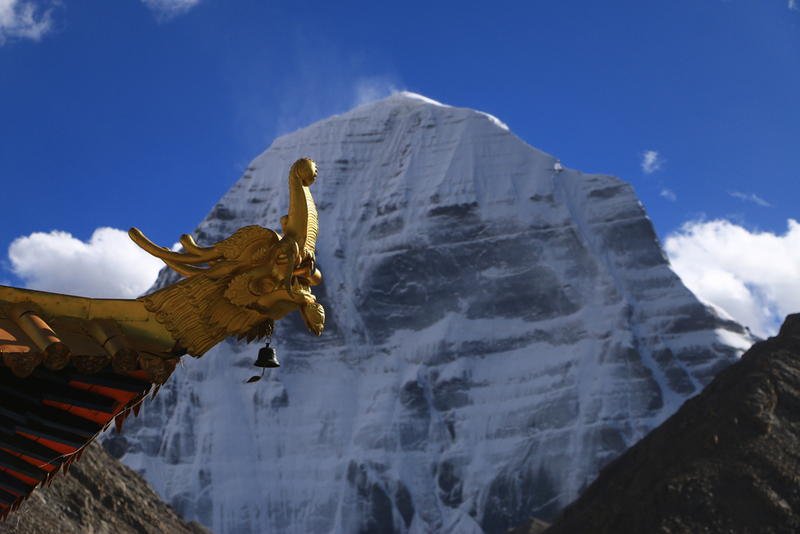 The clouds are moving from the Kailash. Can I every see this mountain complete free of clouds? The last kilometers to the Dirapuk monastery are difficult. I am feeling the 21 km in my bones. The monastery is painted in dark red and has golden statues at the rood. 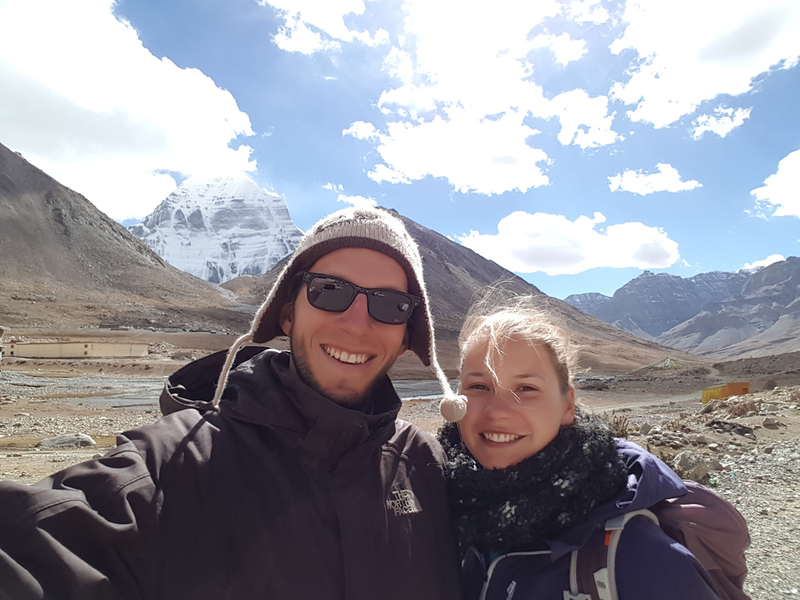 The sky is getting clear and in the late afternoon we could see the complete Kailash. We’re sitting on a small hill just behind the monastery and are astonished by the nature. We made the first stage! 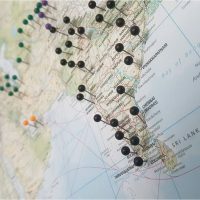 The Kailash is now free of clouds! Couple of time later we’re observing even a small ceremony and sit in the room of the mayor monk and see how a child got blessed by him. I wake up in the middle of the night breathing heavily. 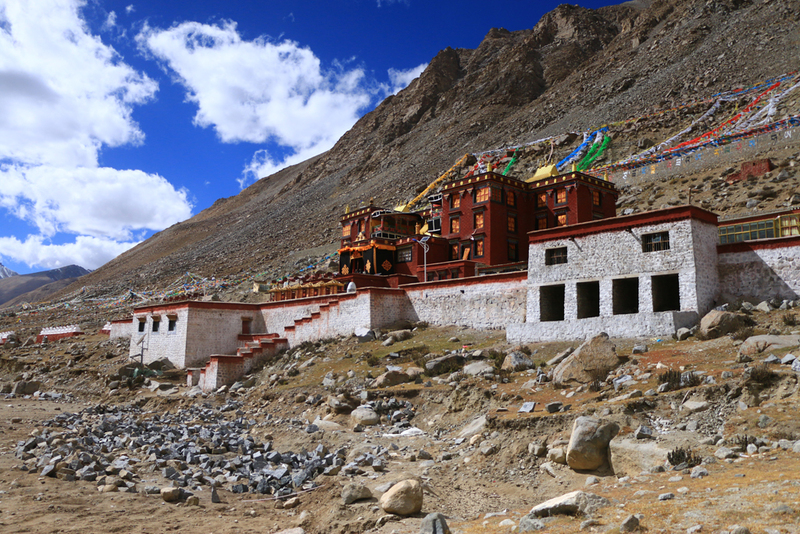 We stay in a small guesthouse just in front of the monastery. 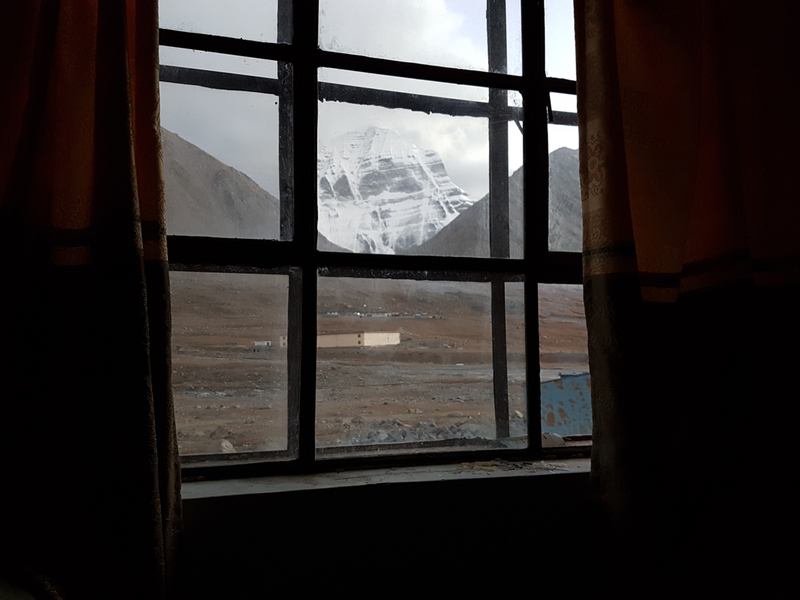 I can see the Kailash out of the window in the moon light. While sleeping here on 5.000m I was doing the normal breathing rhythm. But on this altitude it means too less oxygen. That’s why I woke up breathing very heavy. I fall hardly to sleep. It is still dark when the wake up alarm rings. I don’t feel well. Just today before we have to climb the high pass!